My experience with the story of Eastern Flight 401 began early in 1973. I flew from Tampa, Florida, to New York City and back several times that year. Most of my close relatives lived in the New York City area. During school breaks, I took the opportunity to combine visits with them with opportunities to attend various paranormal seminars scheduled for that year. Her attention was drawn to a book I was reading about Flying Saucers. Like most of the flight attendants that I met during the 1970s, Susan was from the South. She seemed about twenty years old and had a pleasant personality. We talked on and off as her free time allowed. I had enough time in the air to know that there were several topics that you never brought up on a plane. These included UFOs and Airline Crashes, but both subjects came up anyway. Susan was obviously well read on the UFO subject. Like me, she had relatives in the Air Force. She also knew people that had personally seen UFOs while on commercial flights. Most were not spectacular sightings, but strange enough to cause concern. What really got her started were some of the ghost stories I told. It turned out that hers was much better than mine. I didn’t know much about the Flight 401 Air Disaster except that it involved an Eastern Airlines Passenger Jet which went down in the Florida Everglades about six months before. Personally, I was more concerned about airline hijackers in those days than crashes. Susan asked if I had heard any of the stories about ghosts from that flight appearing to people. I hadn’t. Before she could utter another word, a male flight attendant walking by grabbed her by the arm. Both vanished into the First Class section. After a few minutes the male flight attendant reappeared. Although he worked in First Class, he came up to my seat and asked how I was doing? I said I was fine and didn’t need anything. He introduced himself as Bobby and asked if I wanted to move up to First Class. I accepted the invitation. While walking through the curtain that separated the sections, Susan whizzed by me with just a quick smile and stuffed some folded mimeographed papers into my hand. I shoved them into my pocket. The five folded pages that Susan stuffed into my hand looked like some kind of insider’s newsletter. Something a Flight Attendant had put together for other Flight Attendants. It made reference to the 401 crash and how that some flight crews were seeing ghosts from the 401 crash. The pages were badly worn and had obviously been passed around and handled a lot. Although names and specifics were left out, it was obvious that this was a how-to sheet for crew members that wanted to avoid being on planes known for the 401 ghost appearances. After we landed, I told Bobby that I left something in my seat back in coach. Before he could say anything, I headed back to speak to Susan. She was putting away pillows, so I thanked her for being so nice, pulled the mimeographed sheets out of my pocket and asked her, “Did you see any of the ghosts?” She looked down and thanked me for flying Eastern. Cold! I felt as if I had been dumped by a prom date! I mean, it wasn’t like I expected her to give me her telephone number. I just wanted to talk Airline spooks. While in New York, I went to a library and looked up more information about the crash. It seems that the whole thing began when Flight 401 left Tampa for New York on December 29, 1972. The flight crew was Pilot Bob Loft, First Officer Albert Stockstill and Flight Engineer Don Repo. On the return leg to Miami, a problem developed. While on approach to Miami International at 11:30pm, a landing gear light failed to come on. As a result, the crew attempted to be sure the gear was down. While trying to remedy the landing gear light issue, it’s likely that someone bumped the aircraft control column and deactivated the auto pilot. This caused a slow decent that wasn’t noticed by the flight crew until it was too late. Loft and Stockstill perished in the cockpit, although Loft hung on for a while after the crash. Stockstill was thirty-nine and Loft was fifty-five years old. Don Repo, fifty-one years old, initially survived the crash and died a day later in the hospital. In the end, ninety-six of one hundred and sixty-three passengers died. Two weeks later I flew back to Tampa, Florida. I wondered if it had been sheer luck that caused me to learn about the 401 ghost stories on a flight from Tampa and to New York. Maybe, but I wasn’t lucky enough to end up on a flight with Susan again. My off peak flight took off on a late Sunday afternoon with a completely different crew. There were maybe thirty people on board and we ended up with an experienced Flight Attendant. She was kind of bossy, so I sat and read quietly. At some point, I took out the folded pages that Susan gave me. I tucked them into a notebook I purchased at the airport and had been trying to decode the worn mimeo sheets for days. It proved difficult and was very frustrating, but I thought I would use the flight time back to Florida to try again. While I was using a magnifying glass to try and make out the words and letters, a member of the flight crew passed by. It was the First Officer headed to the back of the aircraft. I probably wouldn’t have noticed him, but he stopped at my seat and looked at the sheets. He asked, “Pardon me, did someone on this flight or at the airport give that to you?” I told him no and made the mistake of saying that I found it in one of the magazines on board. I didn’t want to get Susan in trouble. He reached over and grabbed it out of my hands saying it was a scandal sheet passed around by ill-informed employees. I had no way of knowing that I was flying Eastern at a time when the Flight 401 ghost sightings were at their high point. The sightings began in January of 1973 and continued in earnest until the summer of 1974. These events were exposed to the world in The Ghost of Flight 401, a book written by John G. Fuller. Fuller is one of my favorite authors. His book, Interrupted Journey chronicled the famous Betty and Barney Hill UFO Abduction Case and there were others like Incident at Exeter that I enjoyed as well. Fuller’s book came out a couple of years after the ghost sightings ended. His wife, Elizabeth, was an Eastern Flight Attendant that helped him get the goods on the 401 ghost sightings. Her book, My Search for the Ghost of Flight 401, was just as good as his and I read both with equal enthusiasm. Anyone interested the paranormal should dig up copies of these and read them cover to cover. The film, The Ghost of Flight 401, starred Ernest Borgnine and was a part of a one-two punch delivered by Hollywood. The second was the release of Crash, another film about the 401 disaster. This one starred William Shatner. Both films were shown on Broadcast Television in the USA and released in theaters in some other Countries. All told, the films were well received and probably gave Frank Borman more sleepless nights than the ghosts themselves. 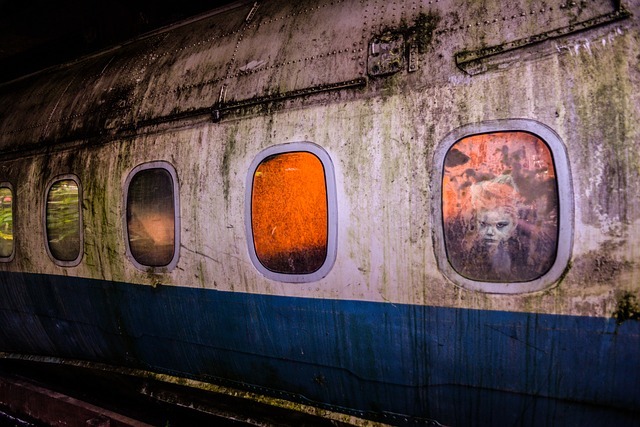 In The Ghost of Flight 401, the ghosts appear as any human would. For example, during a 1973 flight from Newark to Miami, A Flight Attendant was doing a head count when she noticed a man in an Eastern Airlines Pilot uniform seated with the passengers. He refused to acknowledge her, so she contacted the flight crew. The Captain of that flight came back to see what was going on and recognized the man as Bob Loft. He cried out, “Oh my God, that’s Bob Loft!” At that point Loft vanished. Everyone present saw it happen. During a 1974 flight from San Juan, Puerto Rico to Newark, NJ, the Pilot sees Don Repo sitting in the Flight Engineer’s seat. Repo says, “There will never be another crash of an L-1011, we will not allow it.” Repo vanishes after speaking. During another sighting, Repo appeared to a Flight Crew member and said he had completed the preflight check. On another occasion, a Flight Attendant saw a man in a Flight Engineer uniform fixing a microwave oven. Thinking nothing of it, she went about her business. Later she asked the Flight Engineer what was wrong with the microwave. He had no idea what she was talking about. Repo also appeared several times in the Hell Hole (electronics room) beneath the cockpit after crew members heard knocking in that area and went to investigate. While boarding a flight that would take him from JFK in New York to Miami International in 1973, a Vice President of Eastern Airlines entered the First Class Cabin and saw an Eastern Pilot sitting there. When he got close enough to see his face, it was Bob Loft. Loft vanished before his eyes. Loft was seen by a number of flight crews and spoke occasionally warning about problems or potential problems on board an aircraft. There were some other types of appearances as well. Flight Attendant Faye Merryweather saw the face of Don Repo staring at her from an oven in the galley of Tri-Star 318. The galley was salvaged from the wreckage of 401. Merryweather summoned two other Flight Attendants. One was a friend of Repo and recognized his face. Repo spoke and said, “Watch out for fire on this airplane.” The airliner ended up having engine trouble a short time later on route to Acapulco. After landing, the rest of its flight was cancelled. And it wasn’t just flight crews that saw the deceased crew members. Several Marriott Food Service workers saw a Flight Engineer vanish in the galley of an airliner being stocked for the next flight and refused to continue their work. That flight was delayed for over an hour. Airline cleaners and mechanics began to find reasons to avoid working on or in Ship #318 where most of the sightings took place. Some believe that’s because parts were salvaged from the aircraft involved in the 401 crash and transplanted into #318. It’s as good as explanation as any. Although the details remain sketchy and there’s a great deal of disagreement about it, the end of the ghost sightings may have had something to do with a psychic intervention of sorts. It’s been reported that one or more people who knew Loft and Repo managed to contact them through the help of a psychic medium who persuaded them to move on. The ghost sightings ended about a year and a half after the crash. A haunting of this intensity and frequency reveals how woefully inadequate our attempts to understand or investigate the paranormal have been. This is especially true of those who do not care to acknowledge paranormal events in the first place. Rather than believe their own people, Eastern chose to ignore the ghost reports and recommend mental health evaluations and treatment for those who saw them. If the ghosts that appeared after the 401 crash have taught us anything, I would hope it is that simply ignoring paranormal events will not make them vanish into thin air.